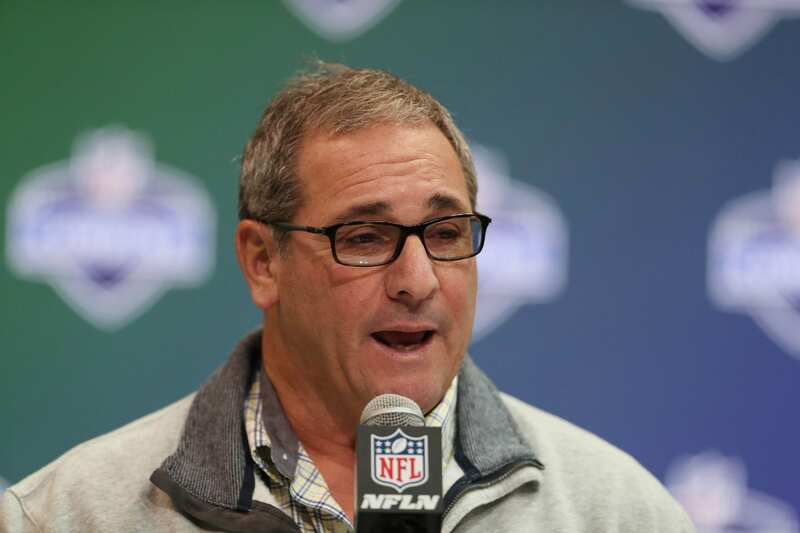 The New York Giants are preparing to begin their evaluation of college players at the annual NFL Combine. Coach Pat Shurmur and general manager Dave Gettleman offered various answers in regard to their wants and needs from the incoming college class. Coach Shurmur was asked about his preference at running back, and was hinted towards a potential Saquon Barkley pick at No. 2 overall. Coach Shurmur: I have a high opinion of what a running back brings to your offense. He has to run the ball, pass protect, and catch the football. The former Vikings offensive coordinator had Latavius Murray and Jerrick McKinnon to work with last season. One was a bruiser and the other a change-of-pace back with work-horse capabilities. Ideally, the Giants would have an all-around back that would open up a roster spot for another position of need. Is drafting a running back at No. 2 a bad idea? The argument against drafting a running back in the top-10 picks is nonsense. The more frequent argument I hear is: Running backs have a short shelf life, making them expendable sooner than most players. That argument is irrelevant, since the average playing career of an NFL player is 3.3 years, where as running backs can be effective for up to 7-8 years. Now, I’m not saying drafting Saquon Barkley is the right move, but it surely does make a lot of sense for a team that hasn’t had a big-time back since the days of Ahmad Bradshaw and Brandon Jacobs. What the Giants’ staff spewed out into the media could have been a smokecreen, but we must take it at face-value for now.